This was taken during one of our half term activities. Local churches had come together to organise a scarecrow trail, which Becky, her friend, her Mummy, Grandma and I went on earlier in the week. Some of the scarecrows were truly spectacular, and each represented the people who had made them - in this case, a family obsessed with Spiderman. What a great idea! 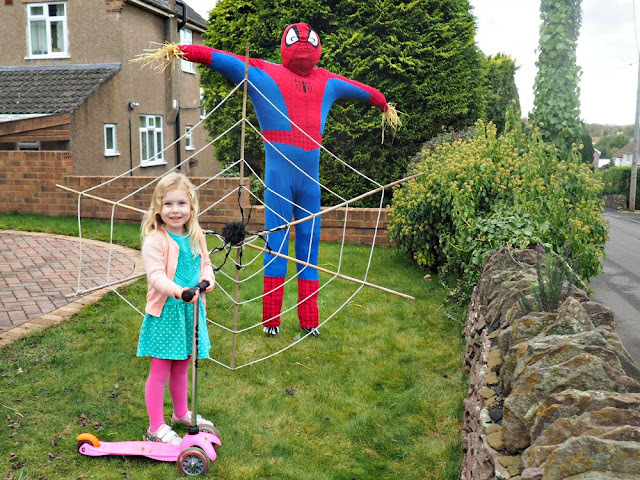 Ooh, I love a Spiderman scarecrow. Cute photo!